As an expert for over 15 years in the Civil Avionics & Defence market, LACROIX Electronics will assist you from the design phase to the manufacturing of electronic assemblies and sub-assemblies. 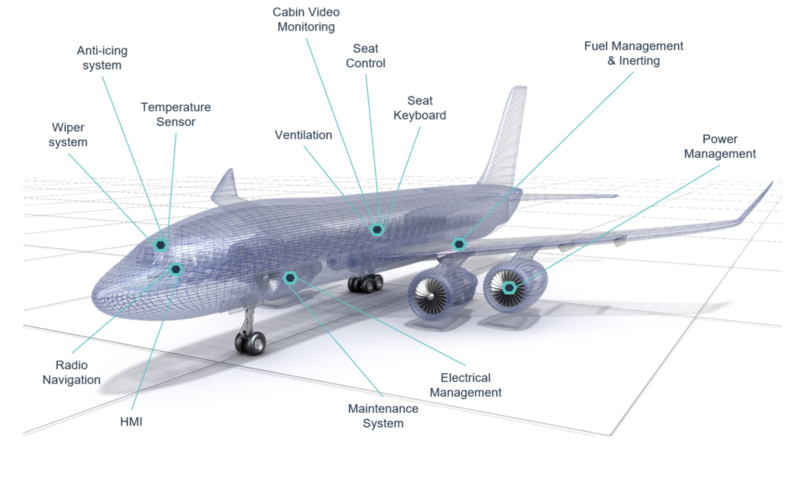 From Design for eXcellence to rapid prototyping of boards, and from industrialisation to continued operational use of the products, we have a complete range of services as well as dedicated means to meet the expectations of the leaders of the Civil Avionics & Defence sector. Thanks to centralised and efficient services such as project management, purchasing and supply chain, we provide our customers with the strength of our international group. Thus, our complementary factories offer cost-optimised solutions, from the small to average series of electronic assemblies that are often very complex. Our experts have mastered multiple assembly processes, such as wire modifications, bonding, opening, resining, burn-in and a wide range of tests in accordance with the IPC A610 class III standards and the requirements of our customers. The industrialisation and production capacities of LACROIX Electronics combined with the expertise of partners such as AUSY constitute a reliable industrial offer based on a process combining flexibility and proximity. The AUSY-LACROIX Electronics joint venture relies on the mastery of the most demanding quality standards (EN9100, DO254, DO178, DO160, PART21, PART145) to create together high-value added electronic equipment, from the design in engineering offices to mass production of electronic assemblies and sub-assemblies in severe environments. Thanks to training centres incorporated in our factories and a culture of quality based on continuous improvement and “lean management”, our experts meet the quality requirements of our customers. Finally, the PART 21 G and PART 145 aeronautical production and maintenance approvals allow us to release electronic equipment for airlines with their EASA Form One certificates of airworthiness. We are also certified to Part 145 and Part 21G.